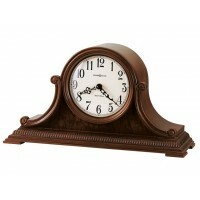 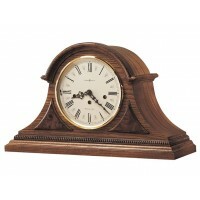 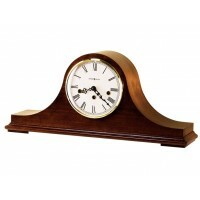 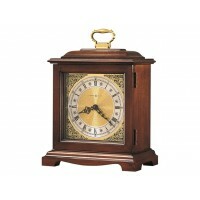 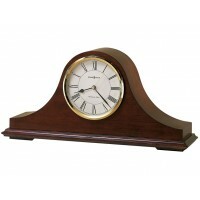 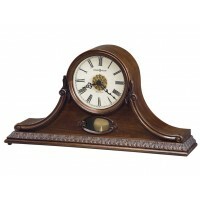 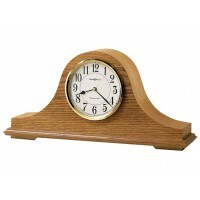 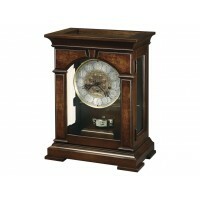 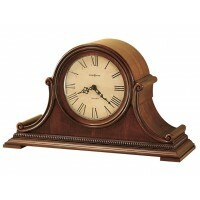 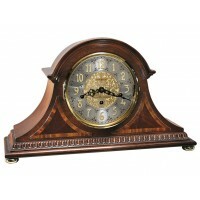 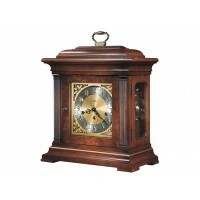 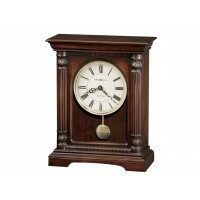 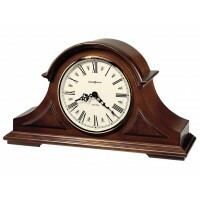 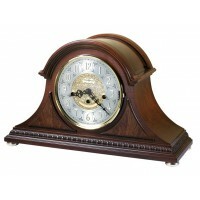 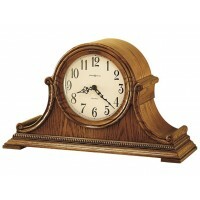 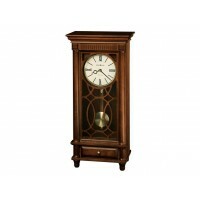 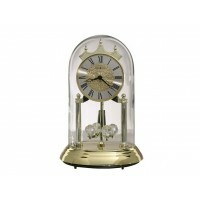 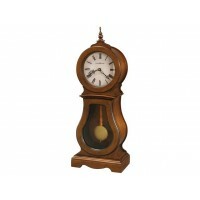 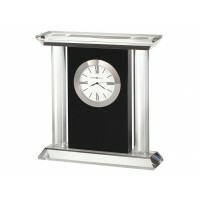 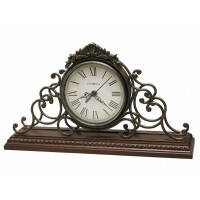 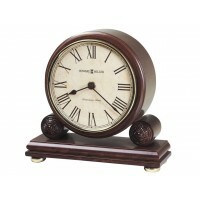 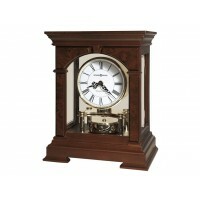 Decorative details embellish this charming mantel clock from top to bottom. 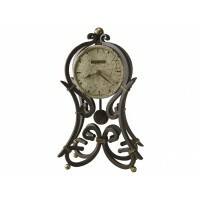 Elegant leaf motifs adorn the bezel and front wrap-around legs. 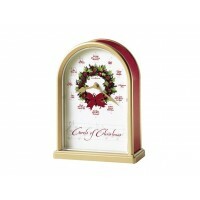 Floral and vine overlays and decorative molding further enhance the base. 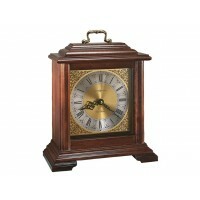 An aged dial with convex glass, Roman numerals, and decorative hands completes the picture.